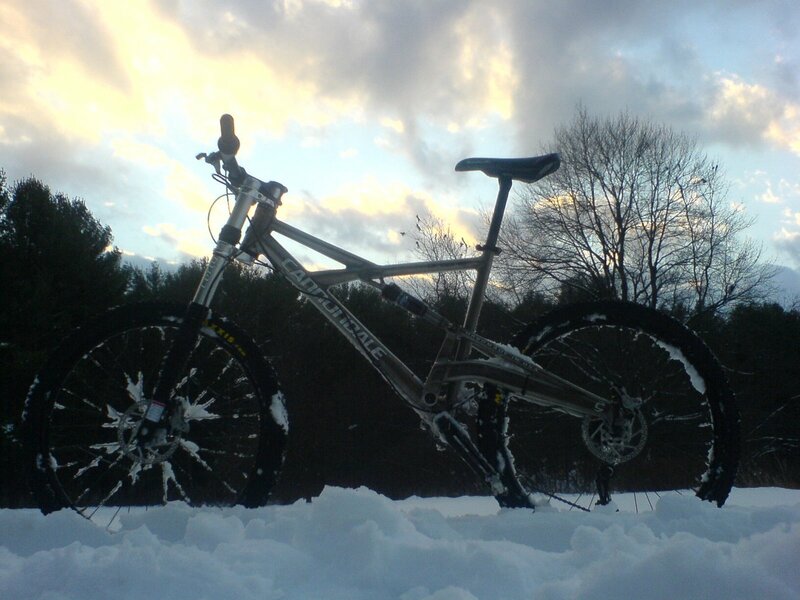 I trucked up to Bear Brook on Saturday afternoon to see if things were rideable. And they were – if you were riding a snowmobile. I plugged along – picture riding a tightrope – for two hours, at one point getting lost somewhere along Cascade trail. Wondering if I had made a horrible mistake coming out here, I was preparing to backtrack on over an hours’ work when I came upon a trail junction that I vaguely recognized. Lucky. Anyway, don’t head out here with a bike for a good while. Or with me ever because I have no frigging idea where I’m going!